Tamil actress Kanika Subramaniam gets papped on her arrival at Paati Veedu hotel launch in Chennai. South Indian actor Sivakumar launches Paati Veedu hotel in T Nagar, Chennai on 27th March. Sivakumar with his wife Lakshmi arrive at Paati Veedu hotel launch in Chennai. 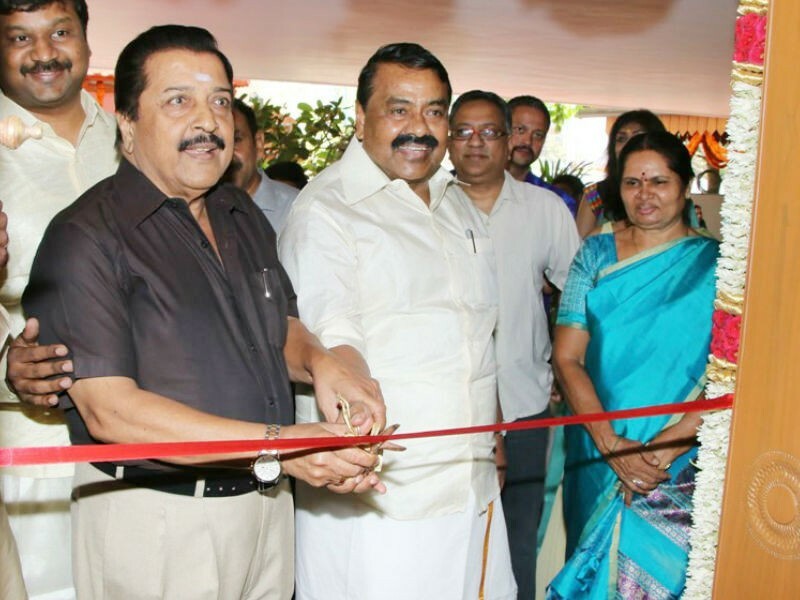 Sivakumar and RS Rajakannappan at Paati Veedu hotel launch in Chennai. Celebs pose for the photo-ops during Paati Veedu hotel launch in Chennai.